Maybe it's a few Explorer windows, a couple of Excel spreadsheets, maybe a a Word document or a PowerPoint presentation. 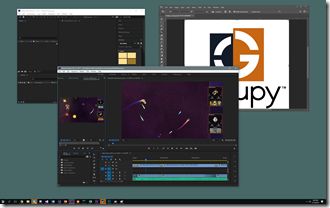 Maybe they're working with Adobe Premiere and After Effects and a few other windows. In any event, dealing with all these windows can get to be quite a mess. So what's the solution? 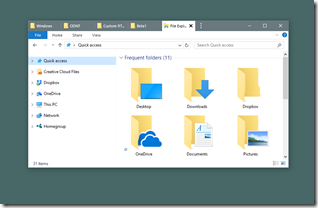 The answer is: Stardock Groupy, the program that lets you treat all your windows the same way you are now used to treating browser windows -- put them them together with each window given its own tab. 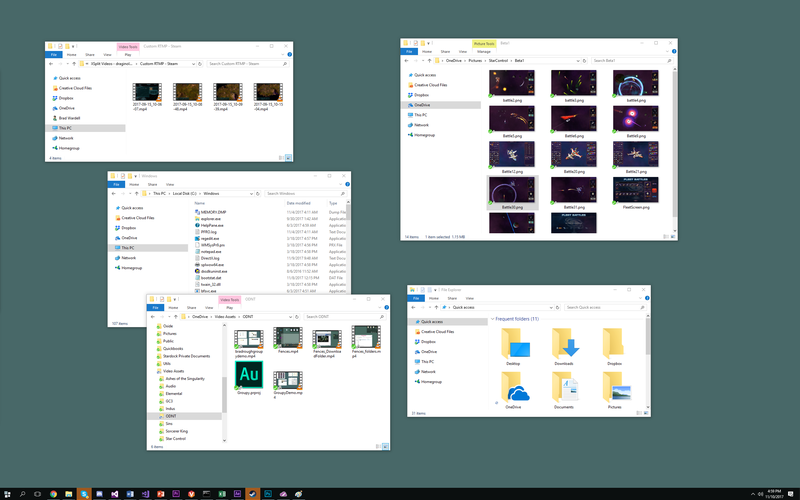 Example 1: Got lots of Explorer windows? 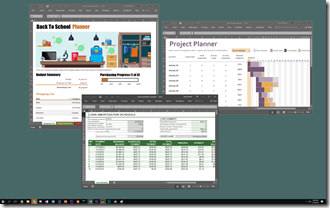 Lots of people end up with several Microsoft Office apps running that can easily get misplaced, especially if you have multiple monitors. Groupy fixes that. Many artists are familiar with working between the various amazing Adobe applications. Navigating between them adds up over time. Instead, just put them together. Now you can switch between tabs with the Win-~ key instantly. Now it acts as a single app. If you need to pull them apart, no problem - just drag the tab off like you would with a browser window. 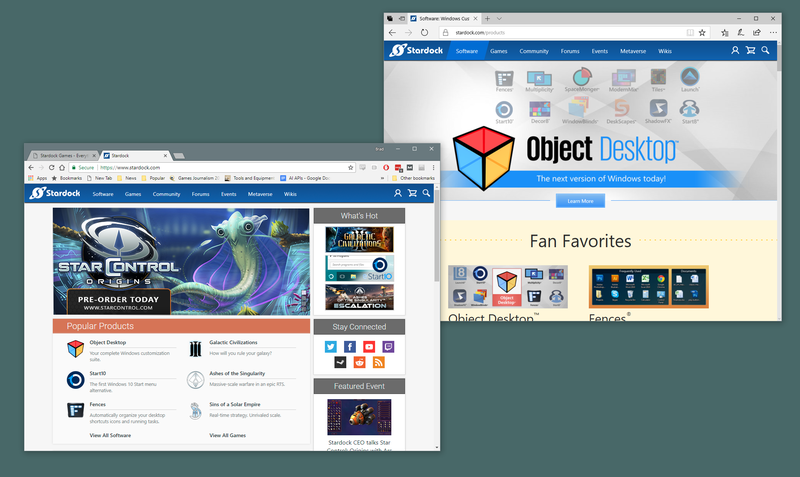 Do you find yourself using multiple web browsers occasionally? Groupy can help with that, too. Groupy supports tabs within tabs. Edge and Chrome are now acting as a single web browser. 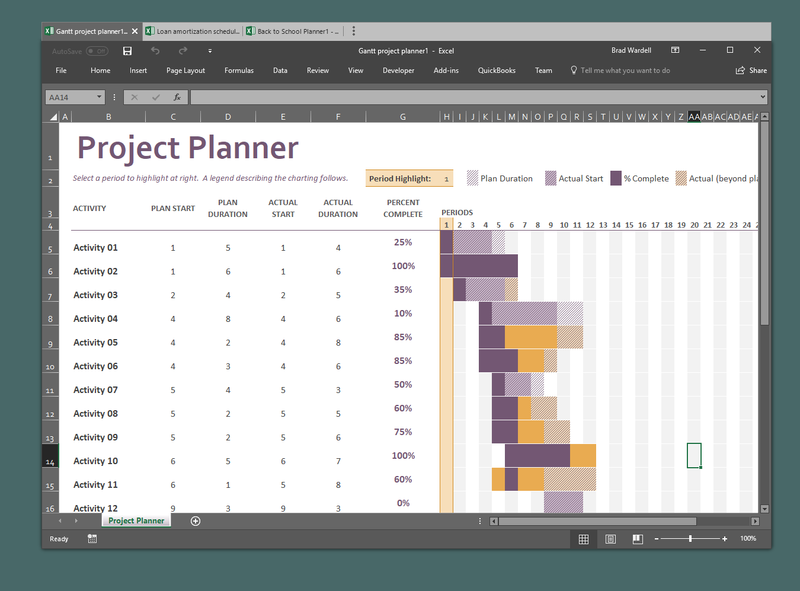 Maybe you are a power user or developer who has a diversified mix of applications in use to get a job done. 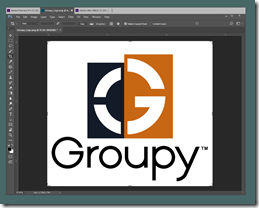 No problem, Groupy will let you group any window with another window. And to ungroup, just drag the tab off from the group. It's both the simplest app and most useful app you may ever buy. 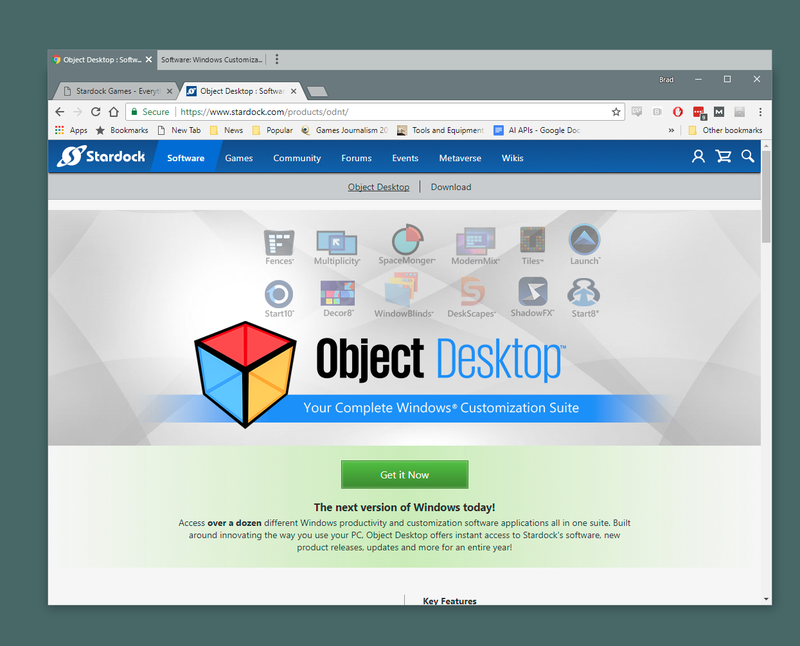 Get it now as part of Stardock's award-winning Object Desktop suite of utilities at www.objectdesktop.com today. 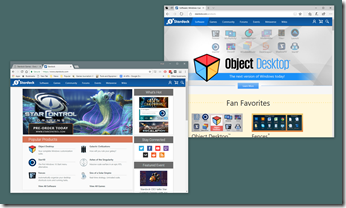 Are you an active Object Desktop owner? Get access to the Groupy beta today by logging into your Stardock Account. If you can't remember the email you used to purchase Object Desktop with, check out this helpful post. 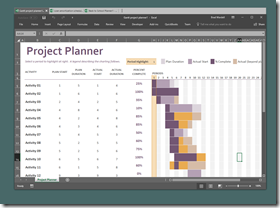 I had a need for this one....having 9 instances of Excel open at the time...[keeping track of my bike-building expenditure]...and it works a treat. I do not know if I can post that here but GroupBy slow down the tabs switching in Edge. Chrome is not affected nor Firefox. It's a very nice application. It's a must have app. I bought Object Desktop and can't find Groupy in the list of software to install... any clue how? [e digicons]:thumbsup:[/e] This is a pretty cool tool, I'll get some use from this. I agree that it would be good if it were more WB receptive, I'm guessing you'll get to that. [e digicons] [/e] Maybe something similar to the way you replace the explorer ribbon in Win10? I'd also like an overall "On/Off" button in the configuration window like you have for WindowFx, I like to be able to flip a switch sometimes. You have to activate "Show Beta" in the settings of The Object Deskop application. Since W10 the ONLY Stardock app that I use is Start10. I just installed Groupy and I've got to say that this is one fine damn piece of software!! THANK YOU!!! You've now given me ample reason to re-up my subscription. 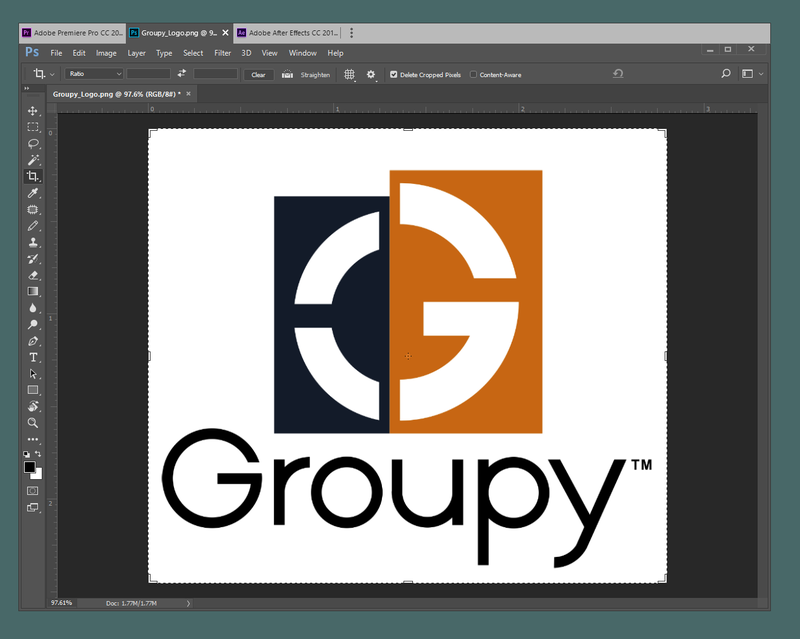 Just installed Groupy to try it out. First impression is that Stardock has another winner. No such luck with stacked applications. I use at least 4 different software programs when creating graphics projects. You are going to need to list the specific apps you have trouble with as it might be a case of "specific to just me"..
if a window is a fullscreen size, Groupy attaches a window draged to the top to the existing window. it would be very nice to be able to disable this. especially if you are used to drag windows to the top of the screen to maximize them, like me. Stardock sent me an email inquiry corcerning this issue. I sent them the list of specific programs in question , along with about 4 screenshots with annotations. I'll probably hear back from them soon. I'm sure we will figure it out. An excellent application. I like it a lot. 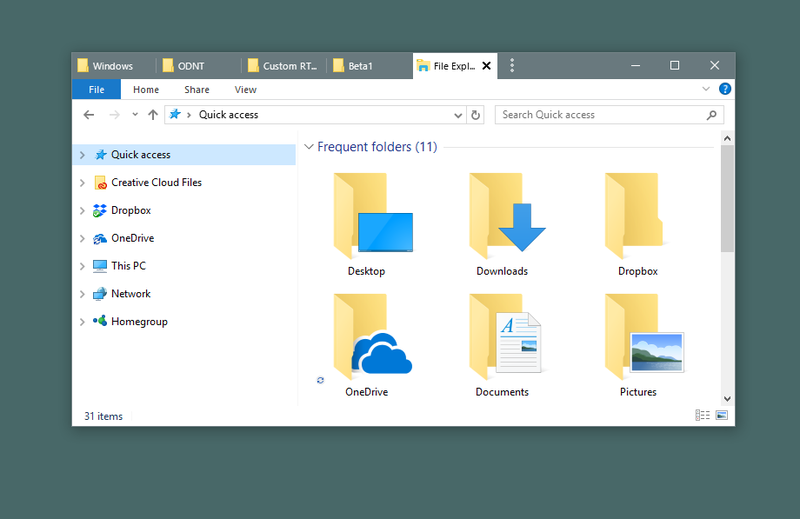 I have found one problem: it conflicts with the auto-placement of Windows on Windows 10: if I move a window to the screen edge to have it on half of the screen, the window I am moving gets grouped with the application window that was below. You can also set groupy to only group when shift / ctrl is pressed and in fact if you hold shift if it looks like it is going to group when you don't want to it will also block that. We are looking into tweaking the grouping behaviour, but depending on window positions there is always a risk. You could also avoid the issue by moving the window you are dragging so you are not dragging it over the top of the window of the window below. I tried the control/shift option and it does help. But you are right, it depends on the windows position and what is below. Another minor annoyance in the frame of half maximized windows, I have a notepad window half maximized on the left edge of screen. If I move an other notepad to the left edge of the screen, the two notepad are grouped by Groupy but the resulting Notepad group is not updated. If I move my second notepad over the half maximized first notepad title bar to trigger the group, the Groupy top tab list is properly visible. That said, after adding Microsoft Edge has an excluded application and fiddling with the options to my linking, I am pretty much very happy with Groupy. Not sure if this is Groupy-related. Installed the app and used yesterday - really like it. Today doing "real" work I double clicked a shortcut to an excel workbook and excel opened, but not the file. File could only be opened by again double clicking it. Uninstalled Groupy and all works fine. Of course I will need to reinstall to see if this was just a Win10 glitch or not. Ah, computers are such fun sometimes. We believe we have that one tracked down and fixed for the next update. Once it is open you should be fine, but opening from a shortcut caused a loading error. 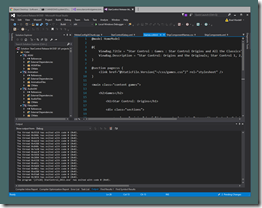 This is also impacting dragging DDS files into Visual Studio. I would love this if it would eliminate the crowded view in my taskbar on my limited screen size of a Surface Pro 3; such as merging it all into one single app on the taskbar or into a single tray icon. Is there any way to implement this, or is it an option in Groupy? Any idea when that update will be coming? I just signed in here to report that issue. Was delighted to see that you are aware of the issue and are actively engaged in a resolution. Once again - Kudos on this app. It is fantastic! Just installed Groupy. 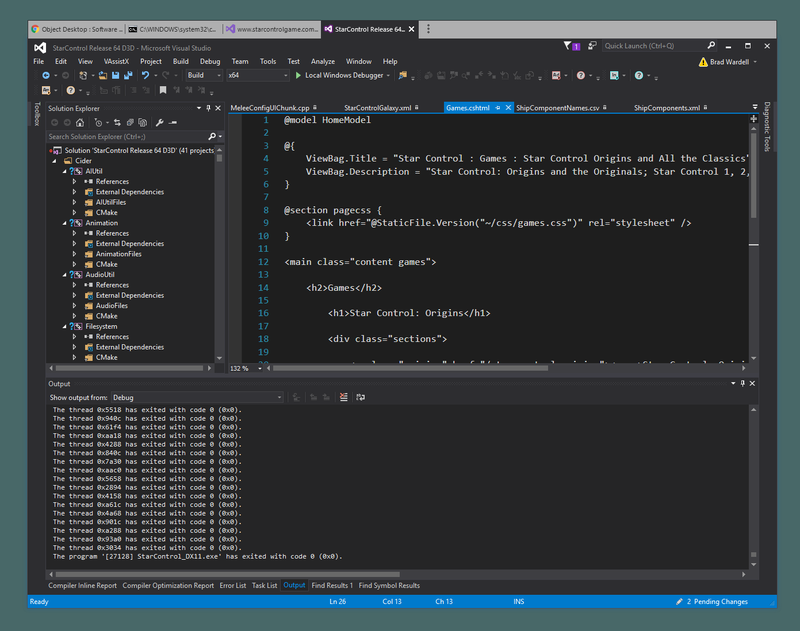 It tabs all my c programming apps perfectly! Saves a lot of space and headaches switching from app to app. 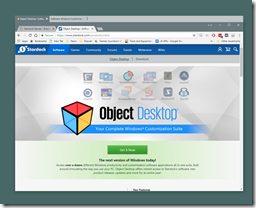 Well worth a re-subscription to Object Desktop!